Civil society groups represent citizens and communities to government, and provide service and advocacy to improve the lives of their stakeholders. In Australia, civil society groups take a prominent role in campaigning in their relationship with government. 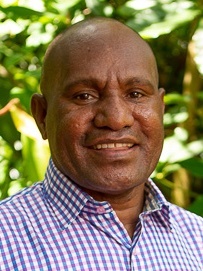 In PNG, civil society groups have built upon a strong tradition of community membership to provide services, and – where necessary – advocate for political and social change. At the foundation of PNG’s civil society are traditional language and ethnic groups that serve as the society’s social support network. Beyond this, the Christian churches are a dominant feature of civic life with more than 99 percent of Papua New Guineans identifying as Christian. The mainline churches play a central role in community life. Many of these churches also serve as agencies delivering primary services including health and education, especially in areas where government service delivery is weak. Non-church organisations are also prominent, many supported by their international affiliates and development donors, working in areas such as the environment and anti-corruption efforts. PNG’s government does not directly regulate NGO and civil society activities, but has at times considered such a move. Civil society groups in Australia deliver a range of service, advocacy and membership functions that parallel the services delivered by the three levels of government. Charitable and not-for-profit groups provide welfare and support services outside of government programs, as well as working as delivery agencies for government. There is a strong tradition of hands-on community service in Australia with an estimated six million people working as volunteers, although membership of service organisations and clubs has been declining in recent years. Australia’s government has moved to co-ordinate regulation of the charitable and community sector through the Australian Charities and Not-for-profits Commission. 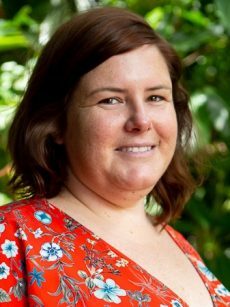 Kate Winney is Pacific Program Co-ordinator with the Anglican Board of Mission, the international development arm of the Anglican Church in Australia. In this role she oversees and co-ordinates ABM’s work in PNG, Vanuatu and Solomon Islands in partnership with local Anglican organisations. 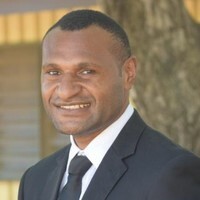 She also served as the Australian Program Group Chair for the PNG Church Partnership Program in 2017-18. 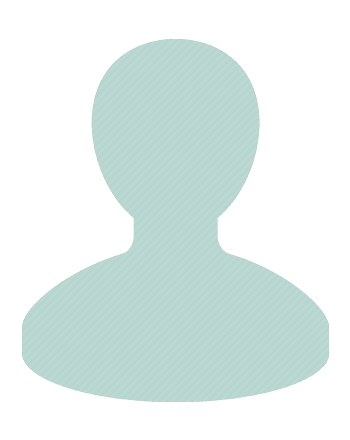 Kate holds a Bachelor of Arts in Development Studies and Culture Change from Macquarie University in Sydney. 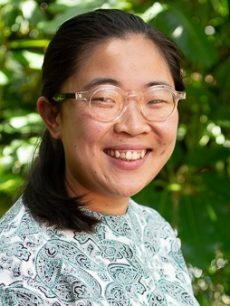 Tess Gizoria is Associate Program Manager working with Abt Associates in delivering projects through Australia’s aid program. 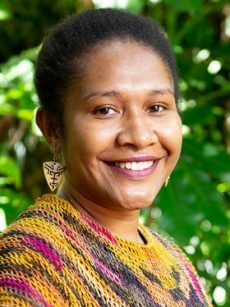 Her background in is science – she graduated with a Bachelor of Science in Chemistry, and went on to work with the PNG Science and Technology Secretariat managing grants for research and development. She founded the community organisation UniMums Inc. to support young women in parenting and professional development, and continues to serve as the organisation's Executive Director. Tess is also the Youth Representative on the Central Provincial Government's Assembly. 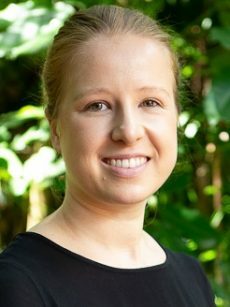 With a background in community development and agriculture, Judy Andreas is Project Manager of CARE International in PNG's Coffee Industry Support Project, based in Goroka. Her work with the project focuses on supporting women coffee farmers, and strengthening the services provided by coffee cooperatives and exporters to be more inclusive of and appropriate for women. She has extensive experience in gender equality programming, agriculture and community development. Prior to joining CARE in 2013, she worked as a freelance agriculture extension officer in Wewak specialising in cocoa production and coconut down streaming, in particular supporting cocoa farmers to access cocoa extension services and marketing opportunities. She is currently part of a two year research training program through the Pacific Women Shaping Pacific Development program and PNG Institute of Medical Research looking at the role of gender inclusiveness in coffee market standards and the role of women farmers in value chains. 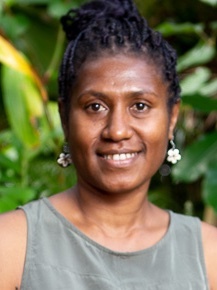 She has a Diploma in Tropical Agriculture from UNRE in Rabaul. 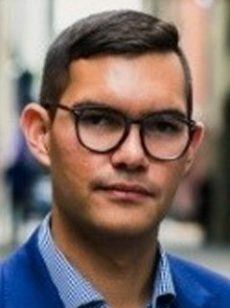 Alexander Rheeney is a Journalist who has worked in a number of high-profile roles in the PNG media. 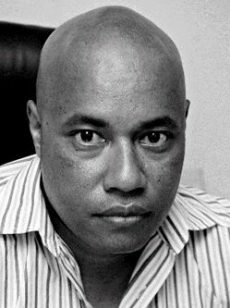 He has been a presenter with Papua New Guinea’s TVWan, is a former Editor of the Post-Courier and former President of the PNG Media Council. 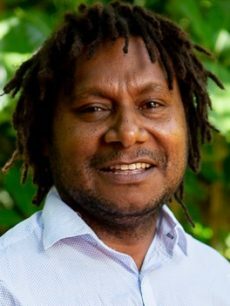 He holds a BA from the University of Papua New Guinea and a Masters of Cross-Cultural Communication from the University of Sydney. 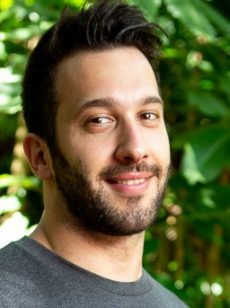 Previously, Alex has worked with the World Bank, the UK High Commission in Port Moresby, and as a reporter for Radio New Zealand International, Pacific Magazine, Reuters, the Post-Courier and The National. 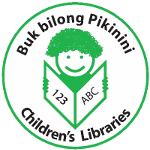 Buk bilong Pikinini, or “books for children”, is a not-for-profit organisation that aims to establish libraries and improve literacy in PNG. The Port Moresby based organisation was established in 2007 with a mission to provide learning opportunities for the most vulnerable children in society who miss out on formal education. It also supports children who go to school but who lack access to the most essential tools for literacy; books. Buk bilong Pikinini has set up eleven children’s libraries and employs teacher-librarians to teach early childhood development programs as well as literacy and numeracy skills for school children. The Kokoda Track Foundation (KTF) runs sustainable, community-owned programs in Central and Oro Provinces (the Kokoda Track catchment area), as well as a nation wide leadership program. Communities in rural areas often have little to no access to basic services. Education, healthcare, energy and safe drinking water are our priority. We provide communities with access to quality education and health services as well as livelihood opportunities, and we aim to build the next generation of Papua New Guinean leaders via our leadership program. Kokoda Spirit is trekking company that takes customers across the original Kokoda Track. It has been operating in PNG since 2004 and has taken 1,500 trips and 4,000 trekkers safely across Kokoda. 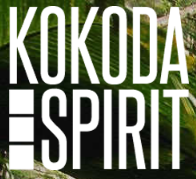 Kokoda Spirit customers include corporate groups, schools groups, sporting teams and individuals. The company has expert guides with a deep knowledge of history and culture and work with local guides, porters and villagers to ensure a an enjoyable and safe experience for customers. Oaktree is an Australian youth-led organisation that invests in young people to take meaningful action to fight poverty. We work in partnership with innovative locally based organisations across the Asia-Pacific to enhance access to quality education for young people, particularly those from poor and marginalised backgrounds. 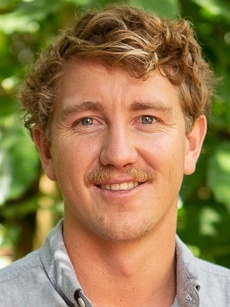 Oaktree has been working in Papua New Guinea for over 10 years, supporting remote educational projects and youth empowerment, working in partnership with locally based education and youth-led organisations. 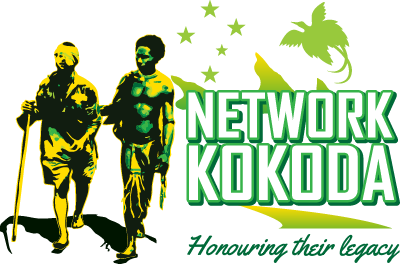 Network Kokoda is a not-for-profit organisation established to protect our wartime heritage along the Kokoda Trail and honour the legacy of Papua New Guinea’s Wartime Carriers. The PNG Church Partnership Program is a DFAT funded collaboration of 7 mainline churches in PNG and their partners in Australia. Some of these churches have been involved in PNG for over a century. Collectively the PNG Church Partnership’s Program’s goal is poverty alleviation through establishing programs that are responsive to community needs in PNG. Their programs focus on institutional strengthening of churches, service delivery and governance.